James Granieri loves to help people. You can see it in his smile and eagerness to volunteer with The Crayon Initiative. 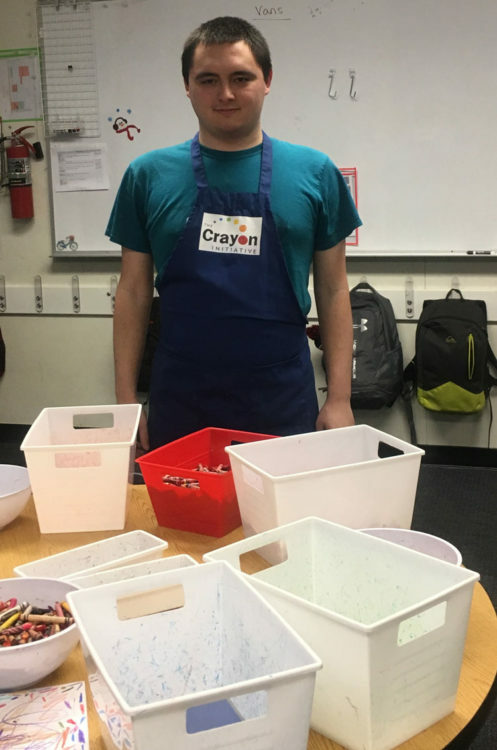 He is enrolled in a transitional program at Del Amigo High School in Danville, Calif., and has been volunteering with The Crayon Initiative since last spring. The Transition program provides life skills education for the San Ramon Valley School District and serves 18-22-year-old exceptional adults. Students range in abilities from requiring constant supervision and assistance to learning how to live independently and hold down a part-time or full-time job. Patty Sherve, James’ special education teacher, says of the Transition program, “The focus is on the functional and practical life skills needed to help students move towards their greatest potential for independence.” Learning the skills and responsibilities required to process crayons seemed a perfect fit for the program’s curriculum. So, Patty invited The Crayon Initiative Founder Bryan Ware to make a presentation to her class and then shared the information with the other staff members. It wasn’t long before each teacher in the program found a way to incorporate The Crayon Initiative into their class schedules. Every student in the Transition program participates in The Crayon Initiative—more than 50 students—and James is leading the effort. He helps keep the supply of unsorted crayons stocked, keeps the storage area of sorted crayon boxes organized, and helps deliver sorted crayons to The Crayon Initiative. It’s a big job, but he’s up to the task. Once a month, Patty takes a group of five students to the site to melt crayons—it’s a highlight! He enjoys working alongside his fellow students to sort, melt and package new crayons to be donated to children’s hospitals. 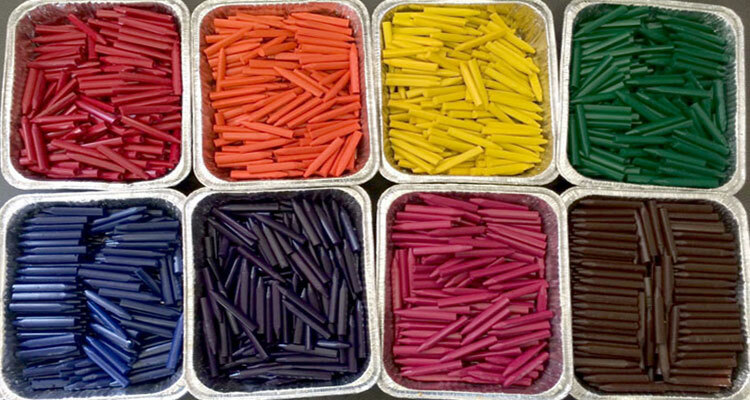 During a two-hour shift, James and his classmates can make over 4,000 crayons! When James isn’t volunteering with The Crayon Initiative, he splits his day between participating in the Transition program and a county occupational training program. He is learning life skills in cooking, cleaning, travel training, job skills, communications, leisure and self-help skills. He also has a weekly job cleaning a bowling alley. This summer, James is looking forward to sorting crayons at The Crayon Initiative with his grandmother. James is proud of the work he does to benefit children and spreads the word about The Crayon Initiative to his family and friends. “Crayons make people happy,” he says. We agree. Thank you, James, for being a #CrayonAdvocate and making thousands of children happy!